October 22 - World Squash Federation (WSF) President Rami Ramachandran says the sport has listened and learnt from the International Olympic Committee (IOC) about how to improve in order to make the 2020 Olympic Games sports programme. Squash lost out to rugby sevens and golf in its last campaign to join the Olympics for Rio 2016 but have radically altered the sport for its latest bid to make the 2020 Games. It is now considered one of the leading contenders to join the event as it bids against the seven other disciplines of climbing, karate, roller sports, wakeboard, wushu and a combined bid of of baseball and softball. 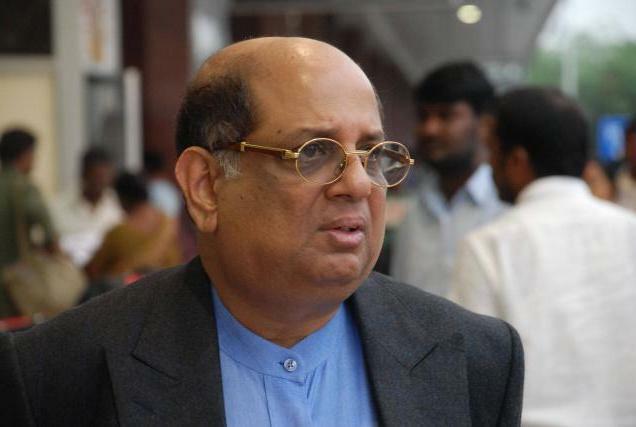 "I am happy to say that after the 2016 bid, we went back to the IOC to ask for their feedback on our sport," Ramachandran told insidethegames. "We listened and learnt from what they had to say and we have come back with a sport that has completely changed in the last four years. "One of the big things is the introduction of glass courts, which has made squash much more spectator friendly. "It is one of the things that has helped improved the presentation of the game along with other measures like using under floor lighting, music, referee video review, HawkEye and in play statistics. "The broadcast quality has also improved significantly as we now use multiple camera angles and super slow replays. "It has really been about embracing technology to make the sport better for fans. "That modernisation process is important because the global popularity of squash is huge. "We saw that with World Squash Day this Saturday (October 20) where over 40,000 players from over 70 countries took part. "The great thing about squash is that there are no real dominant nations so at the Olympics, a country that is not traditionally strong at the Games has a great medal opportunity with us that they don't normally have." The WSF President was also keen to stress that squash is only looking to have its top 64 athletes at the Games, something the IOC will be pleased to see as it is looking to ensure the number of competitors at the Olympics does not become too large. "For the Olympics, we are proposing men's and women's singles championships to the IOC with 32 competitors for each," he said. "This would be simple knock out format so really builds excitement. "It would mean just 64 athletes, 20 officials and two glass courts so it would be cost effective for an Organising Committee, limit the athlete numbers and have no huge infrastructure costs. 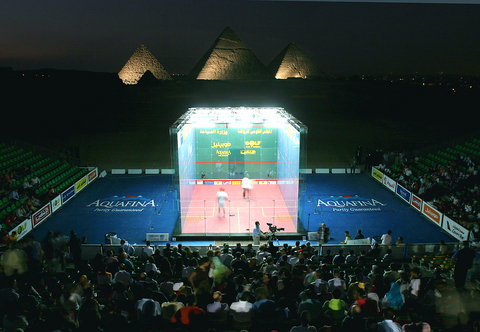 "Courts can be placed in amazing iconic locations – in front of pyramids, harbour side, in museums or anywhere else to really bring a host city to life. 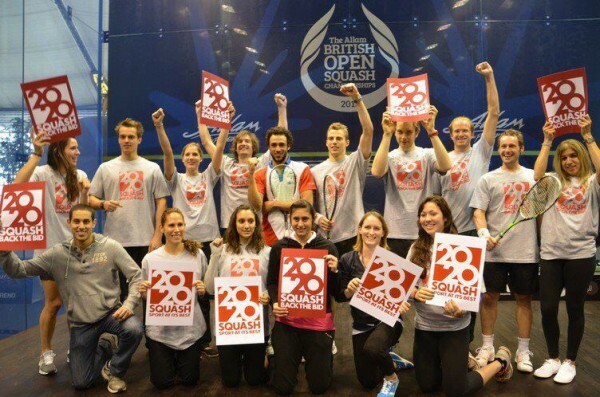 "It would also create a real squash sporting legacy for that host city." The key dates are now approaching for the WSF as the IOC attends the 2012 Hong Kong Squash Open next month as the evaluation event for the sport before it presents to the IOC programme commission on December 19. The WSF will then present to the IOC Executive Board early next year before one of the seven sports in voted onto the 2020 Olympic programme at the IOC Session in Buenos Aires in September 2013. "Squash is now represented in all major regional multisport games," said Ramachandran. "It is included in the Pan American Games, Asian Games, Commonwealth Games, World Games and All Africa Games. "This helps us in our Olympic bid and it is a point we will be making to the IOC when we present to them in December. "We have a lot to offer the Olympic Movement because we are a global sport that shares the values of the IOC while promoting health, fitness and fair play. "Everyone involved in squash around the world is involved in this push for the Olympics because we know how exciting it would be for the sport and the Games."